I tried to resist. I really did. But once I discovered it, I became Pavlov’s dog. The trigger for my salivation? It’s a seemingly innocuous little creature. It airs for an hour. It has beautiful people. It has a fanbase. All these describe many other kinds of t.v. worldwide. So what is it about the K-drama? 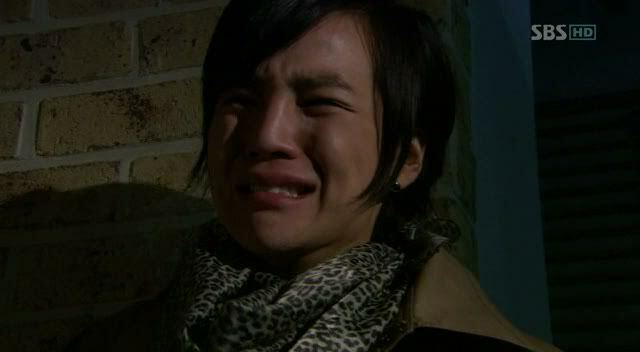 One blog I read says that it’s the “K-drama’s ability to show a grown man cry in a convincing manner” that captured her. It’s true. If you’ve seen Jang Geun Seok cry ( at 1:04) in You’re Beautiful after his mother rips his poor little heart to shreds, you’ll know what I mean. Park Shi-hoo. It’s the smile that does it EVERY time. Son Ye-jin. The talented. The beautiful. Am I jealous? Oh hell yes. ANYWHO! I enjoy the recipe’s for disaster that the K-drama tends to use. Many goals of shows seems to be trumping the recipes and trope’s and saying, “Haha. J/k. J/k.” A favorite observation of mine (that I read on the aforementioned dramabeans.com) was how My Name is Kim Samsoon took the piggyback trope and brought it back with a twist: Kim Sun-ah supposedly peeing on Hyun Bin’s back. Poor Binnie. Kim Sun-ah atop Hyun Bin in “My name is Kim Sam Soon”. Did she pee on him? I sure as hell hope she did! As I come up with more reasons (and when I have more time. I have to leave to teach a lesson in 2 minutes. ), I will list them here. And feel free to list yours! 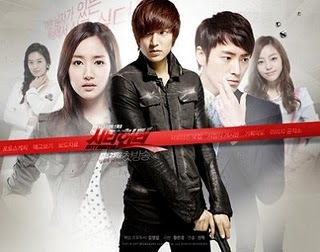 And now for some K-drama OST lovin’. Great post! I saw you comment over at Dramabeans and I totally agree with this post. Anyway, k-dramas (and actually also some tw-dramas and Chinese dramas) have been a godsend. Bite size fun and entertainment. Though, sometimes they’re a little too addictive and I have to control myself to wait until I have a block of free time! As for T-dramas. I MARATHONED Autumn’s Concerto with my sister. I didn’t have work and she did. And she would come home and I’d be a few episodes ahead of her (she’d already watched it) and she would get pissed. I’m SORRY sister but its crack and I had no control over my mouse.